I just watched a retro edition of Motor Week Review. 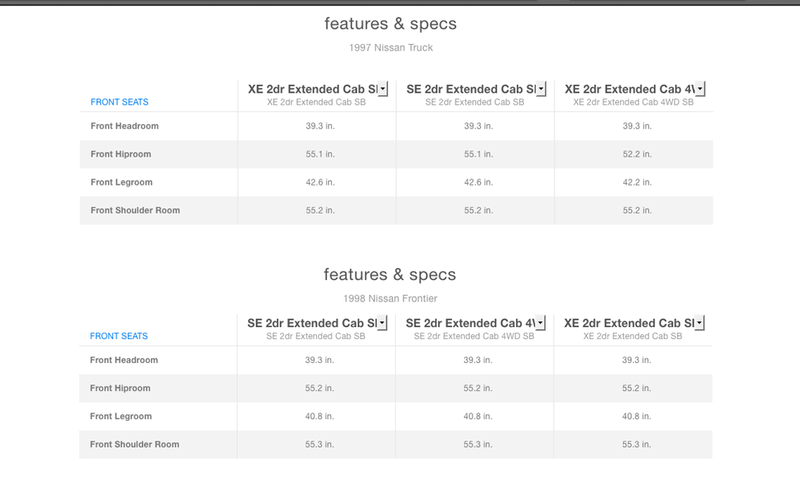 The guy said that a 1998 Frontier has more room in the cabin than the D21 it replaced. 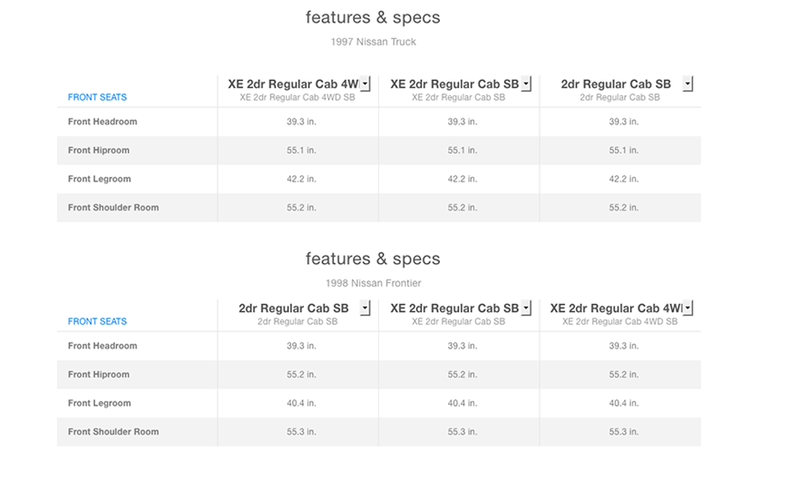 Here's the interior dimensions listed on Edmunds. Hardbody showing a couple inches more legroom, but otherwise pretty much identical. I've had both. Very much yes. I'm 6'5, and I was sardined in my hb, no real issues in my fronty. Ive driven both regular cab and king cab Hardbodys. With the seat in the all the way back position, seat back slightly reclined, it has more room than a regular cab. My knees hit the dash on a regular cab. King cabs, I dont have that issue. It's not a comparison between a standard cab and the King. They said that the new design (98) has more interior space than the original Hardbody design.